Gene Kannenberg, Jr., Director of ComicsResearch.org, did a presentation at last Wednesday night's Gendered Publishing panel at UConn that had so much content that was new to me that I decided to give it its own post. Unlike children's publishing, the comic book world that graphic novels grew out of was not dominated by women. In fact, Kannenberg said that it wasn't uncommon in days of old for women artists and colorists to get into comic books through the men in their lives, brothers or husbands who were already working for a comic book publisher. Marie Severin has great historic significance because she started working in comics in the 1950s and was with Marvel from the 1960s until 1996. She doesn't appear to have moved specifically into children's literature, though she was involved with the artwork for 25 of the 26 Muppet Babies comics, which would certainly seem to have been directed toward children. She was also involved with the Not Brand Echh series, which I remember. Trina Robbins began as an underground cartoonist, according to Kannenberg. She moved to Marvel, also, working on comics aimed at young girls. She was one of the first cartoonists to do comic graphic novel adaptations. 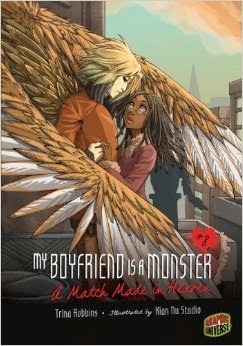 It appears that Robbins is also writing YA graphic novels with other artists doing the graphic element. Francoise Mouly put in time at Marvel, too, starting out as a colorist. Kannenberg says she used her earnings to buy a press and start RAW, a comics anthology, with Art Spiegelman. While art editor of the New Yorker (a position I believe she still has), she and Spiegelman produced the Little Lit series for Harper Collins, and five years ago, she started TOON Books, which produces graphic novels for younger readers. Guess what? Jill Thompson has worked for Marvel, too. She's also hit a number of other comics publishers, working on both Wonder Woman and Neil Gaiman's Sandman for DC. Her work specifically for children is The Scary Godmother, the first in a series. Linda Medley is more of a DC person. 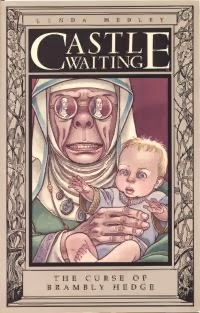 She has written and illustrated a whole series of Castle Waiting books that have a fairy tale thing going on, though I can't tell if they're specifically for children. She's also supposed to have done some rewrites of the Wizard of Oz books. Update 10/23/13: A Castle Waiting fan from Google+, Amitha Knight, describes these books as being for upper YA to adult readers. "Fairy tales with a feminist angle." 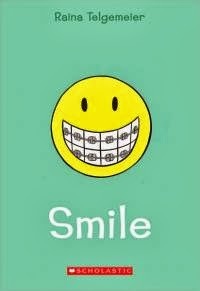 Raina Telgemeier may be the best known of this group to those of us in children's literature because of her book, Smile. She's also adapted four books from The Baby-sitters Club series. Interesting point--She's the first of the women Kannenberg discussed who not only didn't have Marvel experience, she doesn't appear to have traditional comic book history at all. Colleen A.F. 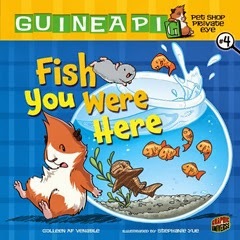 Venable is a book designer for First Second Books, and has written a series of children's books. Again, this is a graphic artist who doesn't seem to have come out of the comic book publishing companies. What, If Anything, Have We Learned? Since attending last week's panel discussion, I've wondered if male comic book artists have also moved into children's books. Women (and probably men, too) appear now to be able to work with graphic novels for children without having first put in time with traditional comic publishing companies. That was a really interesting topic to read on. I love how the women have created their own path in the graphic art world.. Thanks for sharing on the Carnival. Just found this blog post now, by chance. Thanks so much for the great write-up! I'm honored that the talk inspired you so. 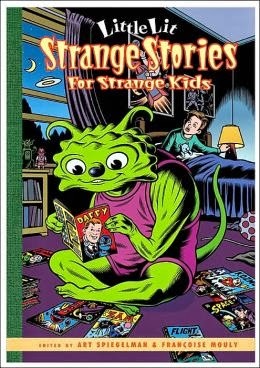 You wondered "if male comic book artists have also moved into children's books," and the answer is Yes indeed! Perhaps the most successful (or at least the one I think of first) is Jon J Muth, who does the beautiful "Zen Panda" picture books - previously he illustrated Sandman (like Jill Thompson) and many other things, like illustrating Dracula and adapting Fritz Lang's film M. Charles Vess is another, a fantasy artist who created Stardust with Neil Gaiman (amongst a whole career of work, including a Spider-Man graphic novel for Marvel) - he's illustrated children's books for Gaiman and Charles de Lint. 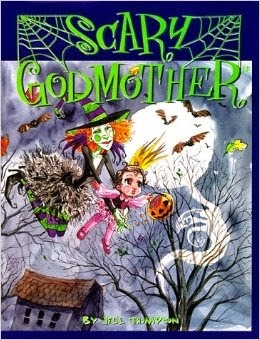 Dave McKean has also illustrated children's books for Gaiman (picture books, Coraline) - he did a lot of comics work as well. And many others. You also noted that "Women (and probably men, too) appear now to be able to work with graphic novels for children without having first put in time with traditional comic publishing companies." Very true! Marvel and DC Comics haven't been the only game in town for many years now, though of course in the 1960s and 70s especially they had the lion's share of the comics market and opportunities. But comics publishing in particular and publishing in general have changed so much since then that the "Big Two" comic book companies don't need to serve as training ground for cartoonists. Especially because, combined with more markets for comics, there are any number of schools which teach cartooning and the business of publishing now.